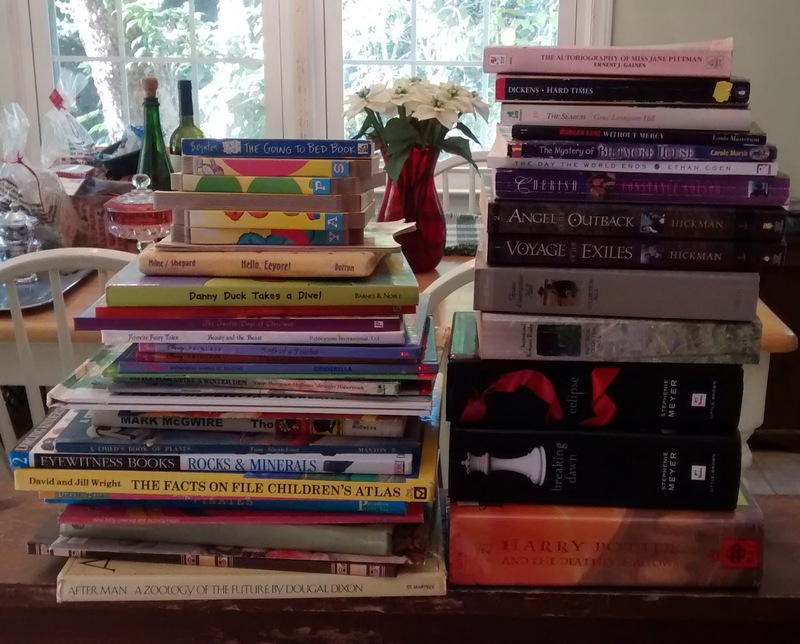 Last year, Girl Who Reads partnered with Athens, GA based literacy group Books For Keeps to raise funds to aid their mission to stop the "summer slide". 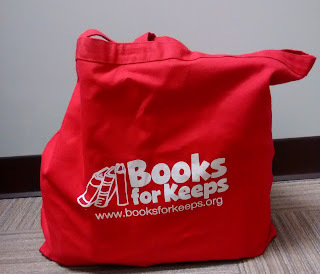 Each spring, they provide children in area schools with 12 books that the child gets to take home forever. You can read last year's letter from executive director Leslie Williams Hale. Books I bought at their annual book sale. The schools that Books For Keeps work with are in some of the poorest areas. In these schools, at least 90% of students eat free or reduced lunch, which means their family is living near or below the poverty level. During the summer months, most of these kids have little or no access to books. There's no money to buy books and access to local libraries are often hampered by lack of transportation particularly in communities where it is unsafe for kids to travel by foot or bus to the library. Research has shown that children who do not read during the summer can lose a grade level or more in reading ability. This is known as summer slide. Summer slide threatens the most vulnerable in our communities and can lead to continuing cycle of poverty. 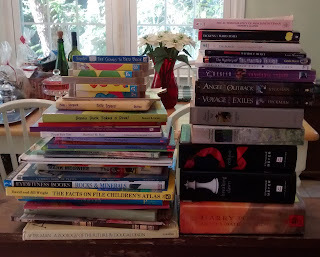 I cleaned off my bookshelves and donated 50 books. I've been able to support Books For Keeps this year by shopping their annual book sale and donating books. Now I'm asking you join me in wrapping up the year by donating funds. I've pledged $1 for each book I've read in November, which right now stands at 12 books. Will you match my pledge or make your own pledge based on the number of books you have read? You can designate your gift as Girl Who Reads fund drive. 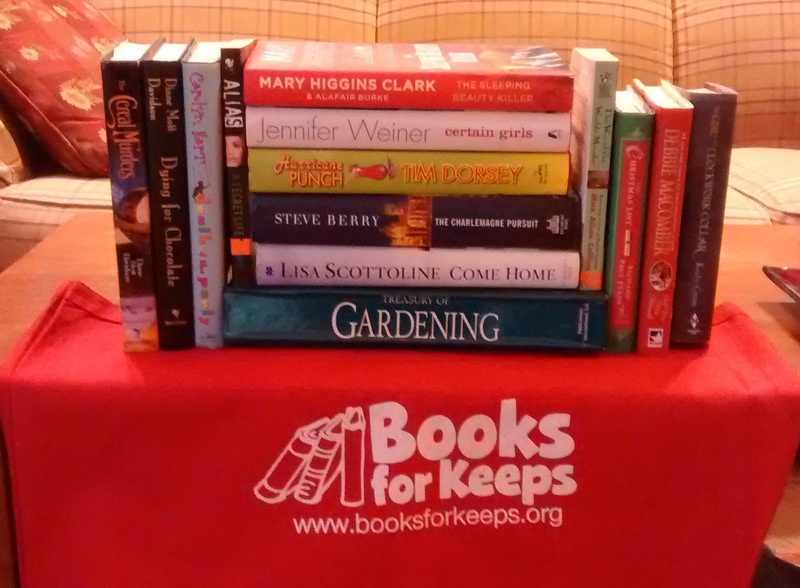 Thank you for helping a child in need maintain their reading skills!